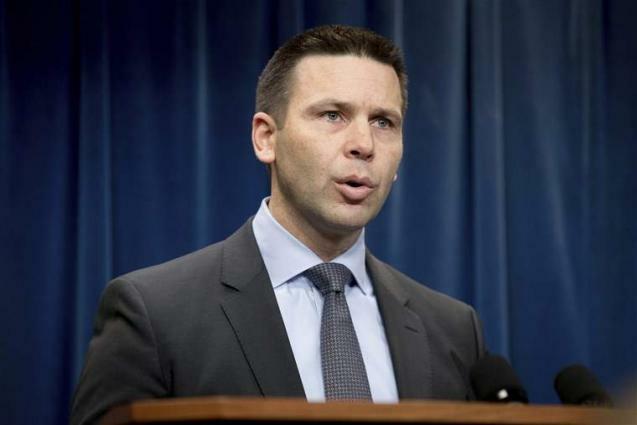 WASHINGTON (UrduPoint News / Sputnik - 16th April, 2019) US Acting Homeland Security Secretary Kevin McAleenan will join Border Patrol agents on a midnight tour to assess the challenges faced by law enforcement personnel on the US-Mexico border first hand, the US Department of Homeland Security said in a press release on Tuesday. "On Tuesday, the Acting Secretary will join U.S. Border Patrol (USBP) agents for a midnight shift tour of the US-Mexico border - including key crossing points and staging areas central to human smuggling - in order to assess the strategic and operational challenges faced by law enforcement operations in the region," the release said. Prior to his midnight tour, McAleenan will meet with local stakeholders in McAllen, Texas, who confront what the Trump administration calls a humanitarian and security emergency at the border. On Wednesday, the secretary is scheduled to conduct a roundtable discussion with area mayors before meeting with officers and agents from US Customs and Border Protection and Immigration and Customs Enforcement, the release said. President Donald Trump announced the resignation of former Homeland Security Secretary Kristjen Nielsen on April 7 in a Twitter post, and later said he had appointed Border Protect Commissioner Kevin McAleenan to serve as acting homeland security chief.